The Walking Dead: Is Spoiler Really Dead? Not Who You Think! Spoiler Warning: This article contains spoilers for The Walking Dead Mid-Season Finale. During The Walking Dead Mid-Season finale, there were several characters that died on camera, but there were also a couple characters that died off camera. Who do we know for sure is dead and who might still be alive? Well, Hershel is definitely dead, as we got a shot of his head removed from his body. We also know that Tara’s girlfriend Alisha is definitely dead, because Lizzie put a bullet right in her forehead. Mitch also died on camera, as Daryl put an arrow into his heart. The big question that most Walking Dead fans have been talking about is whether baby Judith is alive or dead, as the only indication of her fate was a bloody car seat. However, Judith wasn’t the only one whose ultimate fate was decided off camera. As some fans have pointed out, The Governor died off camera. Michonne put her katana right through The Governor’s chest, but she walked away with The Governor still alive. Lilly eventually pointed a gun at The Governor and pulled the trigger. 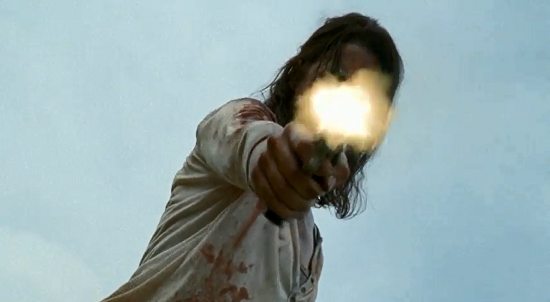 The obvious implication was that Lilly shot The Governor in the head, but there was no shot of the bullet hitting or The Governor’s dead body. All viewers saw was the flash of Lilly's gun. 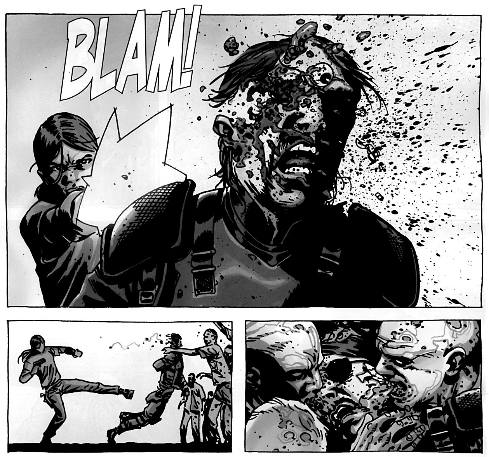 In the comic book series, there was a big flash when Lilly shot The Governor as well, but the kill shot of The Governor's head exploding was also shown. While we believe The Governor likely really is dead, the fact that his death occurred off camera has some fans speculating, just like they did with Lori and Andrea. Could The Governor still be alive?